From Jamie Oliver’s The Naked Chef. Good to add to a risotto, in a bread, or just to have as a really tasty vegetable. Wash the squash, then cut in half. (If the skin on your squash seems very tough, it might be best to peel it.) With a large spoon, remove the seeds from the squash (try roasting these with a little touch of oil and some sea salt and have them with drinks – they’re really nice!). Cut the squash lengthways into quarters and then cut the quarters in half – you should have approximately 2.5cm thick, boat shaped wedges of squash. Put them in a bowl. Put all the dried herbs and spices in a pestle and mortar and pound them up with the salt and pepper to make a fine powder. Once you’ve done this, add the garlic clove and pound it into the spices. Scrape out the contents into the bowl and add 1 tbsp olive oil. Toss the squash thoroughly in the herb and spice mixture, making sure that all the pieces are well coated. Place the squash pieces in a line, skin side down, on a baking tray. Roast them in the oven at 200C/gas 6 for about 30 minutes, or until tender. 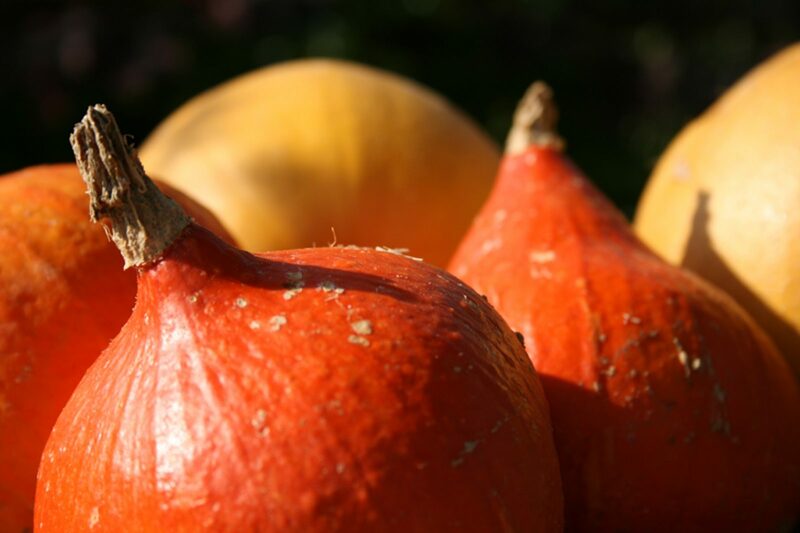 The spicy flavour will cook into the squash and the squash will crisp slightly, the skin becoming caramelised and chewy.